Mounts to wall or refrigerator door. Collects faucet drips and pint glass run-off. 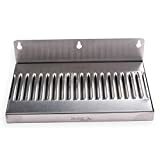 Removable, easy to clean drain grate. 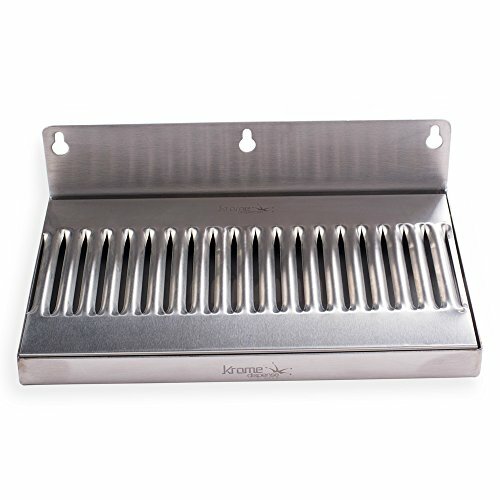 Made of sanitary stainless steel. Dimensions: 10"W x 6"H x 3/4"D.
Proper Pour 10 Foot Clear 3/16" ID 7/16" OD FDA Approved Vinyl Tube Multi-Purpose- Beer Line, Wine Making, Aquaponics, Air Hose, Etc.